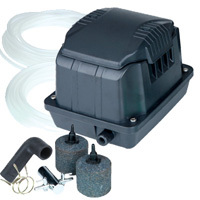 PondXpert Preformed Pond Rudd & TripleAction 3000 Pump: Preformed Pond Liners: Pond Liners - Buy pond equipment from Pondkeeper: fishing out the best deals on the net. Save £30* on this set which includes everything you need to make a pond. This set is a great deal. 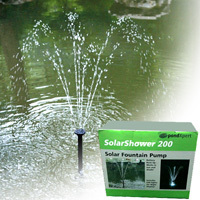 It includes the popular 'Rudd' preformed pond liner and the bestselling PondXpert TripleAction 3000 pump. A preformed pond is very easy to set up and install and makes a great DIY project. Compared to flexible liners a preformed pond comes ready made so you don't have to worry about deciding on a size and shape to dig. Another advantage is that this pond has a perfect smooth finish wheras using a flexible liner can leave a pond with visible 'folds'. 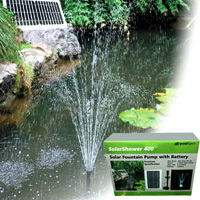 This preformed pond comes to you at a great low price 20% cheaper. 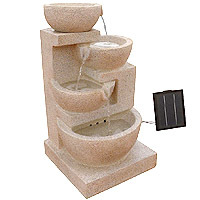 Follow the links for more information on the preformed Rudd pond to view the preformed pond in more detail or TripleAction 3000 for the pump. *Saving made compared to buying items separately. Pond not completed yet just transferred plants. It's only as high as three starts as the pump seems very good. The pond moulding itself is very thin and I have serious doubts if it will last a winter without draining to ensure no damage in the cold. The backfill has forced the walls inwards, I can only assume, because I didn't fill the pond completely before completing the back fill. The fact that there was no advice or installation instructions supplied didn't help.